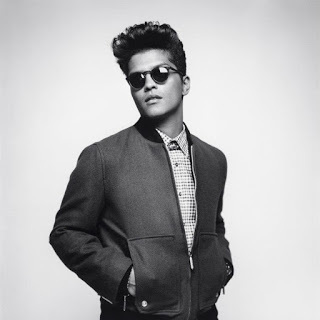 Bruno Mars made an appearance Saturday on the UK program The Jonathan Ross Show. Mars’ visit included a chat with host Ross, who surprised the singer with a clip of him interviewing a 4-year old Bruno performing as an Elvis impersonator in his native Hawaii. Mars recently announced details for his Moonshine Jungle world tour, which kicks off on June 22 in Washington, D.C. The North American dates run to the end of August; Bruno and crew will launch a UK/European trek in Belfast on October 2.